Home / Wrestling News / WWE News / Enzo Amore’s Heat Backstage Gets Worse, Sasha Banks Gets Custom Plates, How Old Are The Usos? 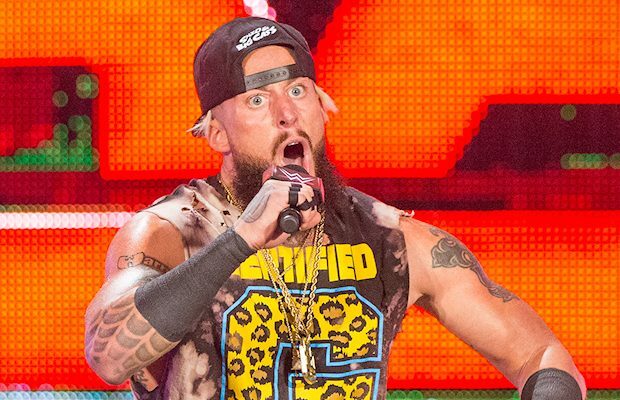 Enzo Amore’s Heat Backstage Gets Worse, Sasha Banks Gets Custom Plates, How Old Are The Usos? – Enzo Amore’s backstage heat has got even worse. This is according to Dave Meltzer on the post-SummerSlam edition of Wrestling Observer Radio, who added that he does not exactly know why his heat is worse these days. Meltzer said that “everybody” hates Amore, and the cooling crowd response to him is bad news because his reactions had been saving him from really being punished by WWE officials for his behavior outside of the ring. JBL spoke publicly about Enzo’s heat on Bring It To The Table a few weeks ago and said that the “odds are completely against” him making it in the company. – After defeating Alexa Bliss at SummerSlam, Sasha Banks’ newly attained Raw Women’s Championship received custom plates before Raw. – Celebrating birthdays today are the new SmackDown Tag Team Champions, The Usos. Jimmy and Jey Uso turn 32 years old. Next Story → How Was WWE RAW Viewership For The Post-SummerSlam Episode?